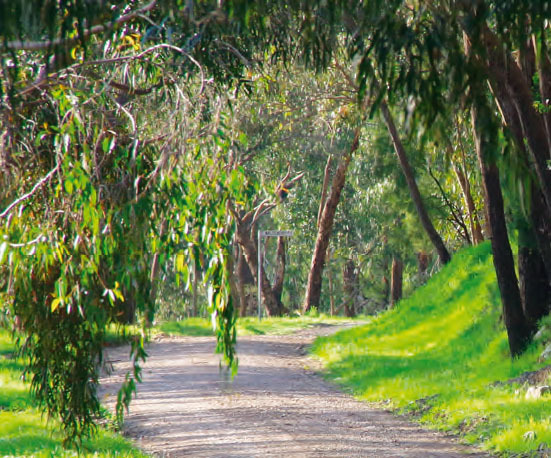 If you would like an invigorating walk through Ferntree Gully, here are a few that take you through the best of bush and town with surprising views that lift the heart. Walk no.2: A wildlife walk. Walk no.3: From the Arboretum. Walking: your chance to meditate, rejuvenate and appreciate the beauty of the Gully. – Chinese philosopher Lao-Tzu, 604–531 BC. That first step leads to walking, the cheapest form of exercise and one beneficial to body and mind. And where better to begin than around the Gully, taking in the delights of birdsong and the seasons’ constantly changing palette. Don’t forget your camera! The 1000 Steps at Upper Ferntree Gully may be a little challenging at first, but there are many other gentler options for walking, either on one’s own or in the company of others. Knox Council has contact details of groups which meet on various days of the week, for walks ranging from Boronia to Westfield Knox. See here. The council also has a comprehensive list of walking groups in its current Over 55s publication Zest4Life (May-August 2018), available from local libraries. The Mountain District Learning Centre also lists walking groups here. Victoria Walks is a most comprehensive website with tips on topics such as walking with children and dog friendly walks. There is also a download called ‘MapMyTown’: a resource for communities to build their own maps to promote walking (and cycling). Knox Historical Society at Ambleside has a Heritage Walk publication which would be an inspiring source of more places to ramble.